Thank you for the lovely comments on our wedding photos! In the autumn after our wedding we celebrated Oktoberfest at Cannstatter Volksfest in Stuttgart, a wedding gift from a dear cousin and her husband. I had plans to go the whole hog - sew a complete Dirndl with vest and blouse, but in my last-minute style I ended up whipping up this BurdaWiesn Dirndl pattern, the morning before our flight. A super week-end. But, if I ever get a do-over, I'm going to make that vest. And the hubby is getting a pair of Lederhosen. Hey - this is where I live! I was so excited for a moment because I thought you lived in Stuttgart and I'm always looking for a real life sewing buddy, but it looks like you're in London. Oh well, I'm glad you had fun - your outfit is really cute! How I WISH I lived in Stuttgart, you lucky girl! If you are ever in London and looking for a fabric shopping guide...! Seeing this makes me miss living in Stuttgart so much!! 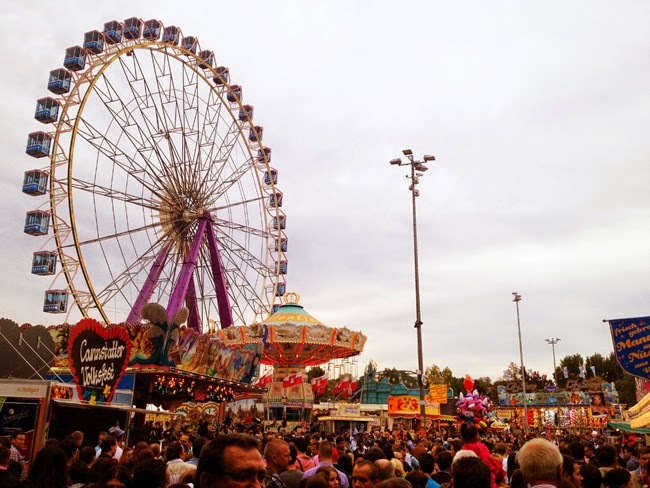 I enjoyed Wiesn so much.. many many drunken memories. 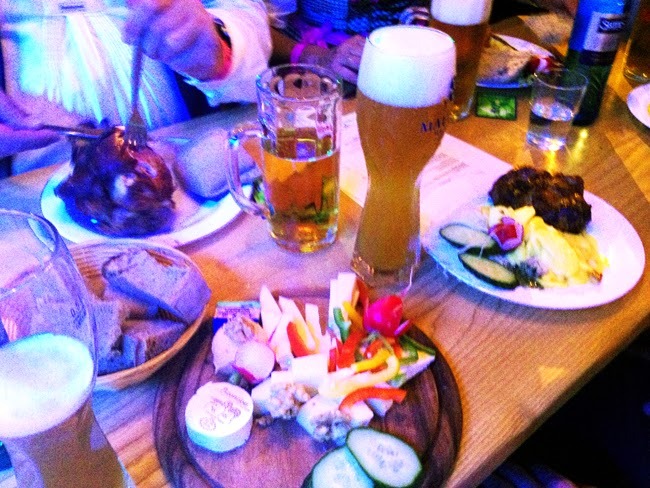 Ahh you got to live in Stuttgart, too! How fun to have this on your doorstep! 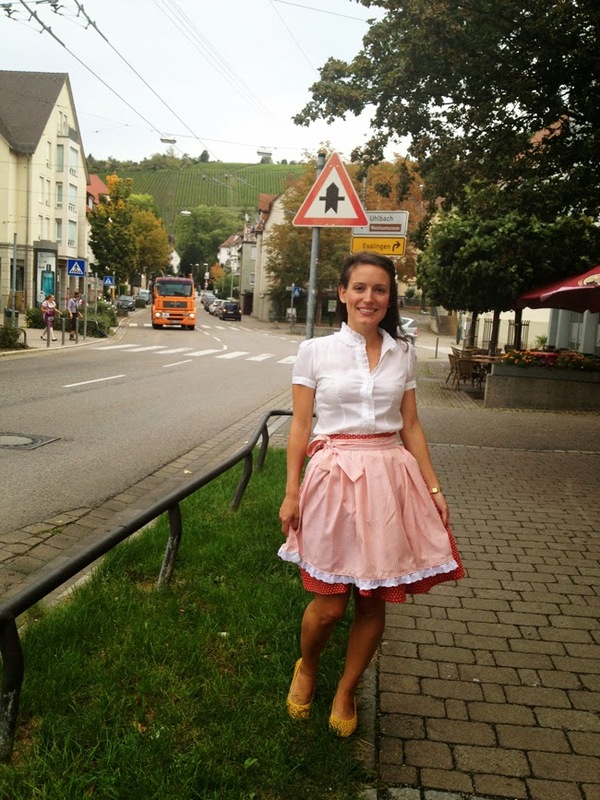 I am sure you have many lovely Dirndls! 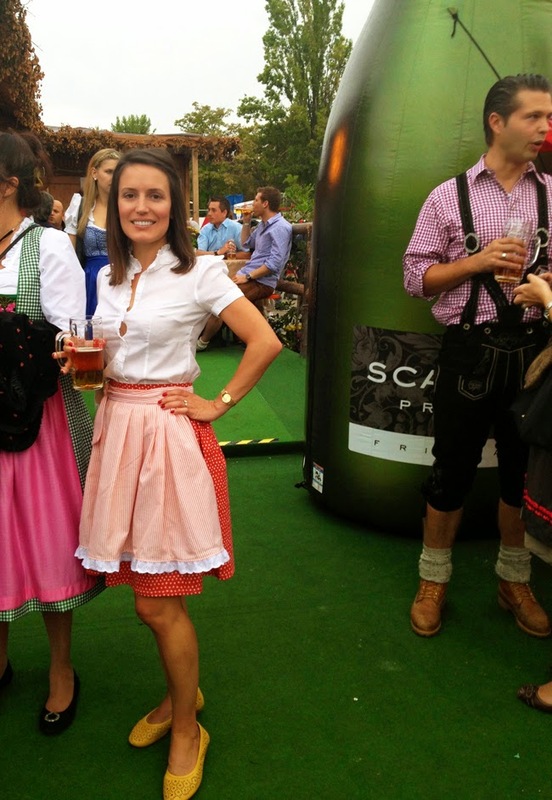 Great outfit for the Oktoberfest - I have never been, but my husband has (he likes beer MUCH more than I do!! ), and did not dress up! How fun! 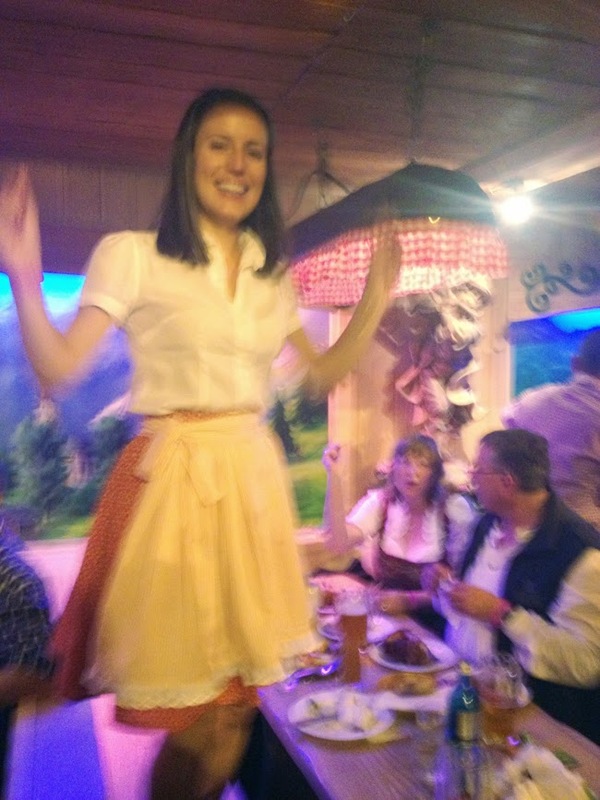 I love your outfit -- and yes, next time it would be amazing to go whole hog with a vest and lederhosen for your husband! 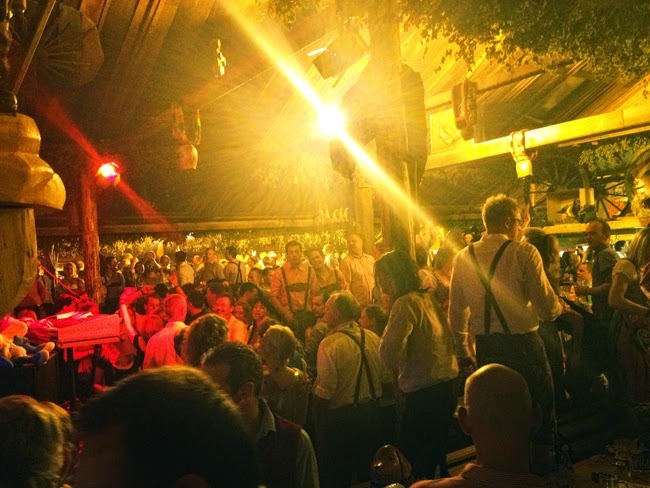 I loved seeing all of the dirndl styles in Munich when I was there a couple of weeks ago.